Kristi Dickinson is an innovative spa and wellness professional with extensive knowledge and skills. She brings more than a decade of spa experience to the Collective. Over the years, Kristi has sat on the board of directors of the Advanced Spa Therapy Education & Certification Council, owned and operated True Potential Spa & Wellness Consulting, and served as Spa Director for fellow Relais & Châteaux property Mayflower Grace, The Golden Door Spa at The Peaks Resort, and Montage Deer Valley. Dickinson is the architect of The Wellness Collective and works personally with each guest and member to realize their true potential as they embark on their journey of wellness. 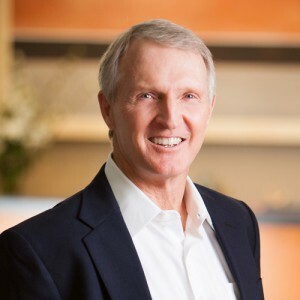 With more than thirty years of experience as a family and sports medicine physician, Dr. E. Lee Rice is one of the premier international medical experts on wellness, and the founder of the LifeWellness Institute. Dr. Rice’s passion is to facilitate positive life transformations through education and inspiration. Dr. Rice earned his B.S. degree from the University of California, Santa Barbara and received his D.O. degree from Kirksville College of Osteopathic Medicine (now A.T. Still University). He completed his internship and Family Medicine residency in the U.S. Navy Medical Corps. Board certified in Family Medicine with a Certificate of Added Qualification in Sports Medicine, he is also a Diplomat of the American Board of Integrative and Holistic Medicine. In 1980, Dr. Rice established San Diego Sports Medicine and Family Health Center, which was one of the first truly comprehensive sports medicine centers in the country. He has served as team physician for numerous professional and Olympic teams including the San Diego Chargers, San Diego Clippers, San Diego Gulls, San Diego Soccers, USA Olympic Volleyball teams and numerous American’s Cup sailing syndicates including Oracle Racing. He has been an associate clinical professor of family and preventive medicine at the University of California, San Diego School of Medicine and currently is a clinical professor of family medicine at the Western University of Health Sciences. Dr. Rice is a Fellow of the American Academy of Family Physicians, the American College of Sports Medicine and the American Osteopathic Academy of Sports Medicine. He is a founder and past president of both the American Osteopathic Academy of Sports Medicine and the American Medical Society for Sports Medicine. Linda ascribes to ‘food as your best medicine’ and frequently points out that every part of your body is made from the food you choose to eat. As an expert in functional nutrition and master of practical advice, Linda is committed to helping each person find their best health through nutrition. Linda began her career in pediatrics, and has honed her skills working in hospitals, private practice, doctor’s offices, and speaking at corporate wellness events. Most recently, Linda was the Registered Dietitian at award winning Cal-a-Vie Health Spa, providing daily lectures and nutritional guidance for a variety of health issues. Linda has a special expertise in supplements, gluten intolerance, cardiovascular and metabolic nutrition. 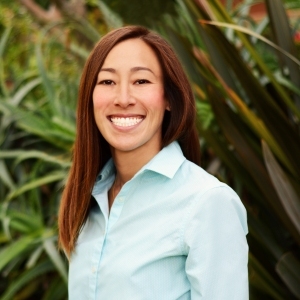 Linda earned her Bachelor of Science in Nutrition from California State University Long Beach and completed a one year internship at St. Luke’s Hospital in Milwaukee, WI. Most recently, Linda has become a Board Certified Sports Nutritionist and is passionate about helping young athletes reach their potential. 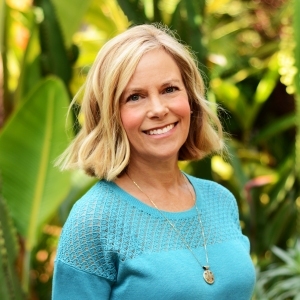 This fall Linda will join an advisory board supporting the Brain and Behavior Research Foundation, and continues to maintain memberships with Dietitians in Functional Medicine, the Sports Cardiovascular and Wellness Nutritionists, the Academy of Nutrition and Dietetics, the American Society for Nutrition, and the California Dietetic Association. 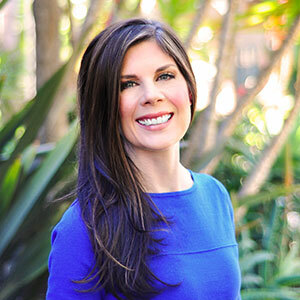 In addition, she has worked in partnership with the USDA as part of the Nutrition Communicators Network and has been seen on Los Angeles ABC news and in print media, such as the Los Angeles Times, Shape, Well+Good NYC, Fitness, Spa, Malibu, Elite Traveler and C Magazines. Meghan holds a Master of Science in Exercise Physiologist from San Diego State University where she also received a Bachelor of Science in Kinesiology: Fitness, Nutrition, and Health. As a NSCA Certified Strength and Conditioning Specialist, her field experience includes training children and adults, athletes, non-athletes, Navy SEALS, and everything in between. Meghan also works as a research assistant for the Naval Health Research Center under the Department of Warfighter Performance. To learn more about the Wellness Collective, please call 858.759.6490 or email us at spareservations@ranchovalencia.com.